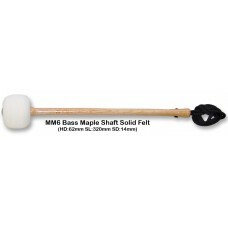 Marching mallets are available in a choice of maple, nylon or aluminium handles. A variety of heads from solid felt for aggressive attack to a more subtle ‘thud’ from the fleece covered models cater for a varied sound spectrum. For longevity on parade drums we suggest the use of nylon or aluminium handles.